Backplanes are the base of every multi-board Application. MPL AG offers Backplanes in a choice of 5, 9 or 16 slots. 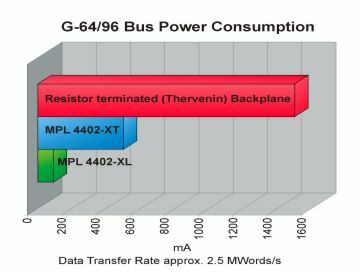 In contrast to conventional resistor terminated Backplanes which consume around 1 to 1,5A, the MPL4402 series of Backplanes with active termination provide current consumption of less than 500 mA for the "T" series and an incredible low 100 mA for the very low power "L" series. The Backplanes are manufactured in 5 layer technology to provide maximum power distribution and noise immunity. 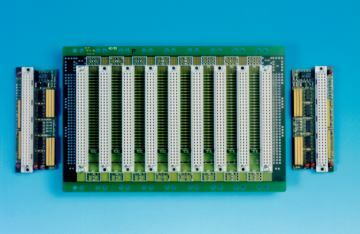 All Backplanes have the necessary mounting holes for Eurocard cages and enclosures, and have been designed to accept either faston or screw connectors.